Every two or three years there is a conference held on the topic of duplex stainless steel where a mountain of technical papers are presented on new grades that are evolving as technology progresses. 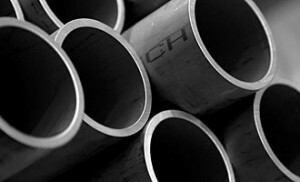 The concept of duplex stainless steel was initially conceived in Sweden in the 1920s but it took a further 10 years for the first cast to be made. However, duplex steel has only really been popular over the last 30 years or so, since the technology for steel making has improved especially with regard to nitrogen content control. The nickel content of austenite can lead to fluctuations in price which tend not to be welcomed by consumers. Good welding ability in thick sections – Not as easy as austenitic but much better than ferritic. Keep an eye on our blog as we add to our Simple Guide to Duplex Stainless Steel Pipes to learn how the ferrite and austenite balance is created and much more. In the interim if you have any questions on our products or their applications please contact us as we will be happy to share our expertise free of charge.